The gap continues to narrow between what professional filmmakers use and what the prosumer uses. In fact, the ubiquity of social media and the apparent need to express one’s inner Fellini or Spielberg [and what’s wrong with that?] have created a perfect storm for filmmakers of all stripes. Joby has been in the business of video tools and peripherals for enough time to develop a solid sense of what works in the real world. The Jib Kit lets you grab smooth, swooping camera moves at a sufficient distance from your body. 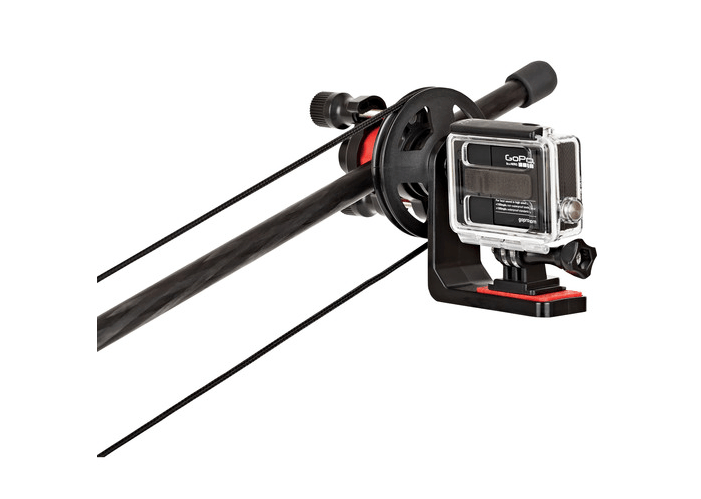 Compatible with all action cameras [GoPro, Sony, Contour], the kit features two adjustable mounts that attach to cylindrical poles, such as an extension pole or monopod. 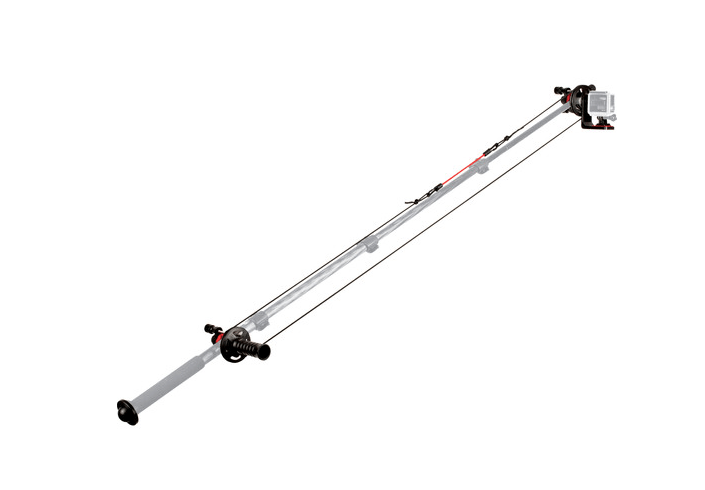 Joby also sells a package with the Jib Kit and three aluminum poles. One clamp of the Jib Kit goes towards the base of the pole, providing a handle to operate a pulley system, while the other goes at the end of the pole and features a camera mounting bracket. A pulley cord is included that can be tied to accommodate spacing the clamps between 35″ and 49″ apart. When installed, you can use your pole to capture unique jib-style shots, with camera tilts controlled by turning the handle on the base clamp. This allows for two moving planes: the camera can be tilting as the pole is swinging. The handle is like that on a bike, and hence a familiar ergonomic design. 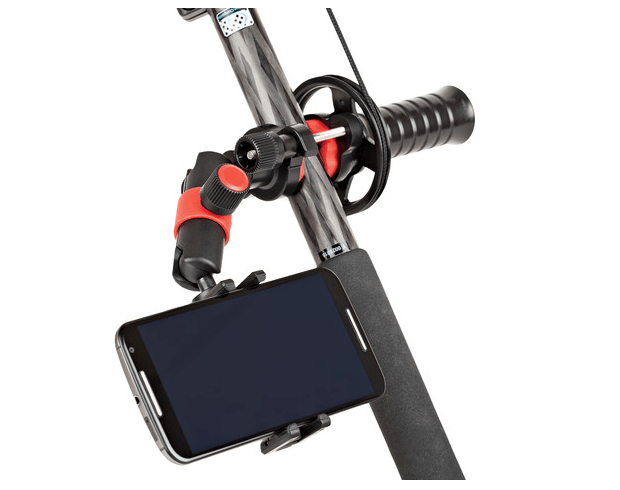 A 1/4″-20 screw on the handle grip lets you attach optional accessories, such as a Joby Arm and GripTight to support your phone for remote video monitoring and camera control. I found that with some experimentation, the remote phone was superfluous, although very helpful at the outset. The entire rig is quite light, which is a boon when undertaking a long day of shoots. It all packs into a handy carrying bag, making production hassles far less than what Spielberg encountered on the set of E.T.